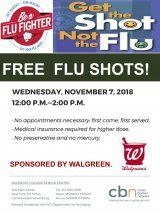 From Noon to 2:00 p.m. on Wednesday, November 7th, free flu shots are being offered by the Carter Burden Network, sponsored by Walgreen. 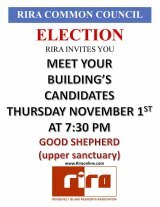 Location: Roosevelt Island Senior Center, 546 Main Street. No appointments necessary. First come, first served. 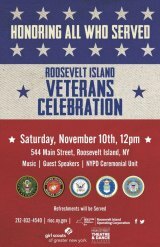 The Roosevelt Island Operating Corporation is producing its first-ever Veteran’s Day celebration on Saturday, November 10 at noon at 544 Main Street on Roosevelt Island in New York City. 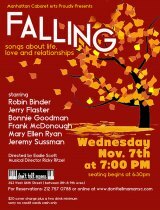 Versatile Bonnie Goodman brings her vocal talents to the stage in Falling, songs about life, love and relationships, at Don't Tell Mama, 343 West 46th Street, on November 7th at 7:00. 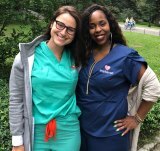 Roosevelt Island Halloween Extravaganza, Sportspark, 12:30 to 3:00 p.m.
Update: the annual Halloween Parade has been canceled because of the weather, but RIOC has moved the party indoors. 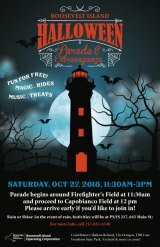 Everyone's invited, costumes and all to enjoy fun and games of the Halloween Extravaganza at Sportspark, from 12:30 until 3:00 p.m.
RIOC hosts the annual Halloween Parade on October 27th at 11:00 a.m. and features magic, rides, music and treats. On Sunday, November 4th, at 2:00, the East-West School of Dance presents Kathak Students Showcase at the Main Street Theatre & Dance Alliance, 548 Main Street, Roosevelt Island. Directed by Pandit Satya and Narayana Charka. Beaches. Parks. Battlegrounds. Cemeteries. It’s all in Queens. Take an eclectic tour of the history, geography and citizenry of our neighbor borough and explore the mini-world that awaits you there. 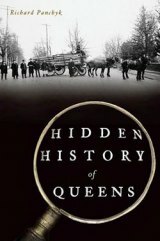 Richard Panchyk will share facts and insights from his book, Hidden History of Queens, at a lecture presented by the Roosevelt Island Historical Society at the New York Public Library Branch, 524 Main Street, Roosevelt Island, Thursday, November 8th at 6:30 p.m.
Roosevelt Island Artist Toshiko Kitano Groner has two paintings in a Grant Winners Exhibition in the Phyllis Harrison Mason Gallery at the Art Students League, 215 West 57th Street. Groner was a 2016 grant winner. You're invited to a public opening reception on Tuesday, October 9th, from 5:30 to 7:00 p.m. The show runs until October 26th. RIOC announced an event to showcase the recently installed RI Welcome Sign in the Roosevelt island Tram Plaza, Tuesday, October 9th, from 5:00 to 7:00 p.m.